How might I know if my child is gifted? How might my child be identified as gifted? What Does Literacy for Life Involve? A new kindergarten to Grade 8 French Immersion program at Silverspring School is accepting registrations for September 2019. The program will serve the neighbourhoods of Aspen Ridge, Evergreen, Silverspring and Willowgrove. Contact the school or click "Read More" for additional information. Saskatoon Public Schools believes every student has potential. But in order to succeed in school and in life, students need to show up. Regular attendance is a strong predictor of student success. The #BeHere to Succeed Here campaign to encourage students to show up for school every day, on time. The 2019-20 school year calendar for kindergarten to Grade 12 has been approved by the Board of Education. Click on Read More to view and download a PDF copy of the calendar. Let's get moving! Move To Grow encourages students and families to pursue active transportation options such as walking or cycling with a focus on education to help students understand how they can safely travel to and from school. Click Read More to learn how you can Move To Grow! A Saskatoon Public Schools teacher who uniquely engages students and colleagues alike in mathematics has received national recognition for his work. 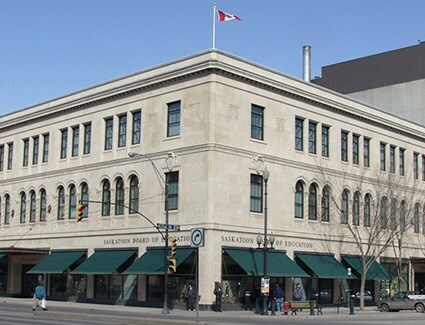 A regular meeting of the Saskatoon Board of Education will be held in the board room located at 310 - 21st Street East. Members of the public are invited to attend.